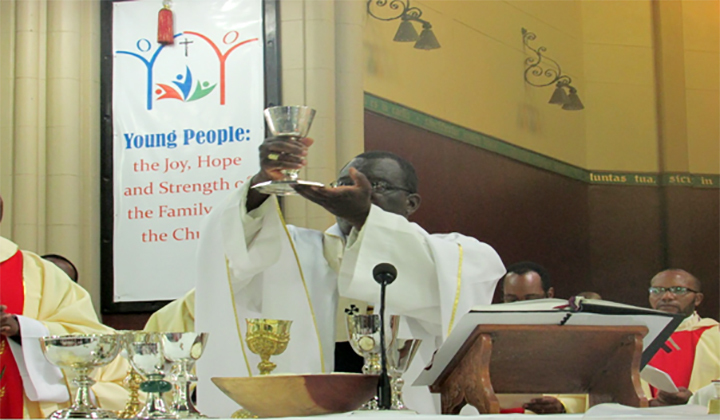 (Harare, Zimbabwe) More than 300 Catholics attended a diaconate ordination of Rev. Emerson Machepa, C.Ss.R, at the Cathedral of the Sacred Heart in Harare on the 12th of January this year. He was ordained by the Archbishop of Harare, Most. Rev. Robert Christopher Ndhlovu, together with other eight brothers from different congregations. During the Holy Mass at a time called the ‘Ordination Rite,’ the Archbishop examined Rev. Machepa together with other eight brothers to determine their worthiness to the diaconate ministry. Machepa told the archbishop that it was his willingness and decision to be ordained and he said it in the vernacular language (Shona) as follows; “Hongu kuda kwangu”. Soon after the examination, the nine laid down as a sign of humility whilst the choir sang a sacred and solemn hymn, ‘The Litany of Saints.” The hymn was accompanied by a soft ululating from the background. In African culture, ‘ululating’ has a special meaning and it is associated with happiness, hospitality, love and kindness. In the past, when a man killed an animal from the hunt, the wife at home received him by ‘ululating’ as a way of expressing her happiness and gratitude to the catch. In his last speech, Rev. 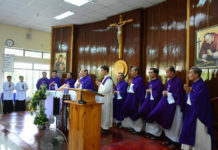 Archbishop told the deacons to discharge their duties diligently and faithfully. He told them to live a prayerful and exemplary life that brings people closer to God. He also left the following message to the priests: “I kindly ask you priests to work well with these deacons, help them to achieve their desire to the priesthood. 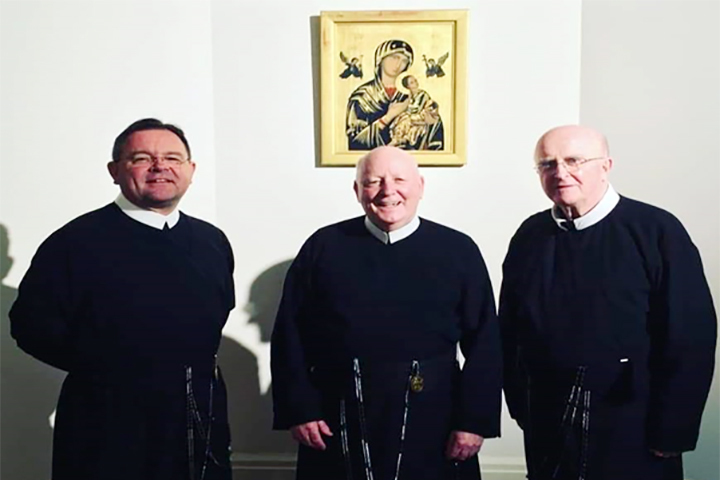 When you have contributed something positive during their diaconate ministry, you will really feel proud of yourself.” The archbishop further said that by the Grace of God he was looking forward to the priestly ordaining of the deacons. However, the archbishop expressed his gratitude to the faithful for attending the diaconate ordination in huge numbers at a time when the country is facing acute fuel shortages leading to exorbitant fuel prices on the black-market resulting in escalating bus fares. 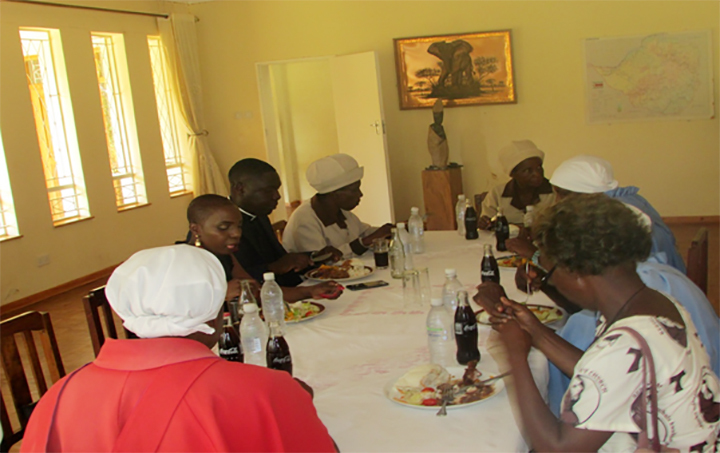 Soon after the ordination, the Redemptorist Region of Zimbabwe hosted a luncheon at Alphonus House in honour of the ordained deacon, Rev. Machepa. During the luncheon, Machepa’s mother spoke: “I would like to thank God who gave me this beautiful, humble and obedient son.’ She also told people at the luncheon that his son had applied for several religious congregations, but he fell in love with the Redemptorists. However, on behalf of the Redemptorist Region of Zimbabwe, Br. David Nyamuronda C.Ss.R expressed his gratitude to people at the luncheon and special thanks went to the Machepa’s family for their continued support. The ordained deacon, Rev. Machepa C.Ss.R, joined ‘The Congregation of the Most Holy Redeemer’ (In Latin: Congregatio Sanctissimi Redemptoris – C.Ss.R) in 2010 and the following year, he enrolled for philosophy studies at Arrupe Jesuit University (AJU) and then graduated in May 2014. After studying philosophy, he went for a noviate period from July 2014 till July 2015, and he took his first profession the same year. Machepa is currently a fourth year student at Holy Trinity College of Catholic University in Zimbabwe. He comes from a place called ‘Masvingo’ which is one of the largest geographical provinces in Zimbabwe. He is the last born in a family of three siblings and being the only boy. For his primary education, he attended Sunningdale One Primary School in Harare and Don Bosco Primary School in Masvingo. After primary schooling, he attended two schools for his secondary education respectively as follows; All Souls Mission (a catholic boarding school in rural Mutoko) and Masvingo High School. Rev. 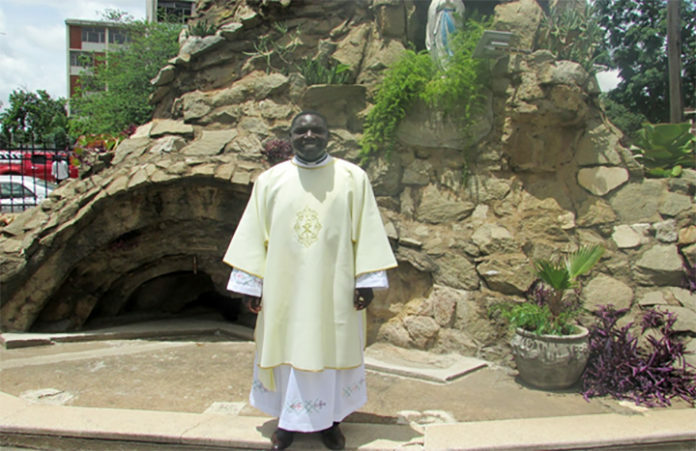 Machepa was an active member of the Sacred Heart Guild and he also held several leadership positions in the following; choir, liturgy and parish council. The recently ordained deacon, Rev. Emerson Machepa C.Ss.R, belongs to the congregation that is well known in Zimbabwe for helping the poor, marginalised and vulnerable communities through its development oriented organisations such as Mavambo Trust, Redemptorist Development Trust and Caritas. 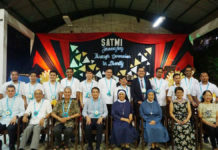 However, in pastoral ministry, Redemptorists are well known for preaching the Word of God, as such, they do their best to simplify complex biblical messages so that they can be easily understood by the faithful. In addition, some Redemptorists are lecturers and administrators at the Holy Trinity College of Catholic University in Zimbabwe. However, Rev. Machepa was ordained together with other eight brothers from two different religious communities namely; Order of Franciscan Friars (OFM) and Diocesan. 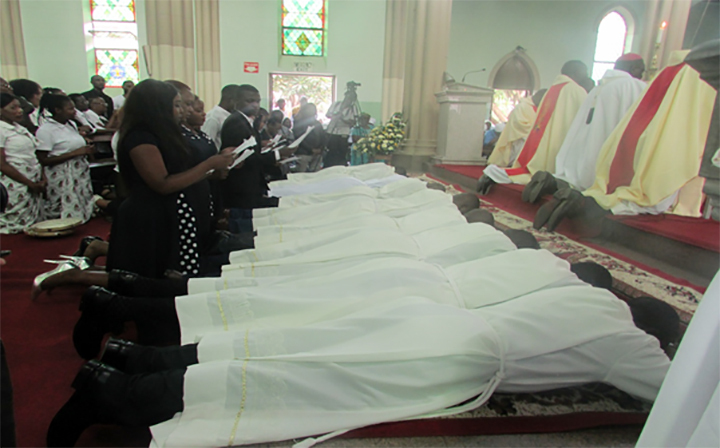 The names of these eight were as follows; Flavio Andrison OFM, Rakotondrainibe Huges Charlie OFM, Kapuya Andrew, Machibaya Francis, Mashonganyika Taurai, Matewu Sithembinkosi, Mukumba Kudzai and Mutekede Caleb. The archbishop that ordained Rev. Emerson Machepa, Rev. Robert Christopher Ndhlovu was ordained a priest on the 28th of August 1983 at the age of 27 in Hwange diocese, Zimbabwe. He took over after the death of the first African Archbishop of Salisbury (now Harare), Rev. Patrick Fani Chakaipa was installed in 1976 when the country was still under colonial rule. Chakaipa died in 2003 and he was buried at one of the oldest Jesuit missions in Zimbabwe, Chishawasha Mission. However, the government had requested to bury him at the ‘National Heroes Acre’ in honour of his contribution to the preservation of African through his literary works in which he published the following African novels in Zezuru language namely; Rudo Ibofu, Garandichauya, Karikoga Gumi Remiseve, Pfumo Reropa, Dzasukwa Mwana Asinahembe, but the local church did not approve the ‘burial place’ because it was associated with politics and spilling of blood.